Police have identified the victims from Thursday’s shooting in Aberdeen. The suspect, 26-year-old Snochia Moseley, was a temporary employee at the Rite Aid warehouse. She had been employed at the facility less than two weeks. Authorities say Moseley arrived at the warehouse at 6:30 a.m. on Thursday morning for her shift. She then left the building at 7:21 a.m. and returned home. She drove back to work and arrived at the front gate at 8:35 a.m.
At 8:53 a.m., Moseley reentered the warehouse and, at 9:05 a.m., was seen exiting yet again, and she began shooting. The first victim was shot outside, and she reentered the building again at 9:07 a.m. and continued shooting. There were 65 people working inside the warehouse. After reentering the building, she continued shooting, striking the five additional victims before shooting herself in the head. Law enforcement officers were on scene within five minutes of initial dispatch. The suspect had already shot herself by the time police arrived. 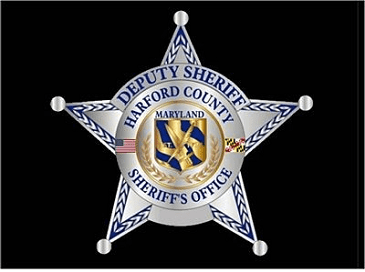 Moseley had a last known address of Baltimore County and died at a local hospital. During the investigation, police determined that she was suffering from a mental illness and, over the last two weeks, had become increasingly agitated. Court records list Moseley’s most recent address as being the 8100-block of Ridgetown Drive in Nottingham. For more details on Thursday’s shooting incident, click here.